Manchester United have been linked with a whole host of defenders this summer as Jose Mourinho wants to bring in a long-term partner for Eric Bailly. Last summer’s big summer signing at the back, Victor Lindelof, failed to impress during his first season in English football and it appears the boss is going to be buying again before the start of the 2018-19 campaign. Jose has never seemingly been a big fan of either Phil Jones nor Chris Smalling, whilst Daley Blind has moved back to Ajax after seeing limited action last season. We have been strongly linked with moves for Tottenham Hotspur’s Toby Alderweireld and AC Milan’s Leonardo Bonucci, but no progress has been made on a move to either. 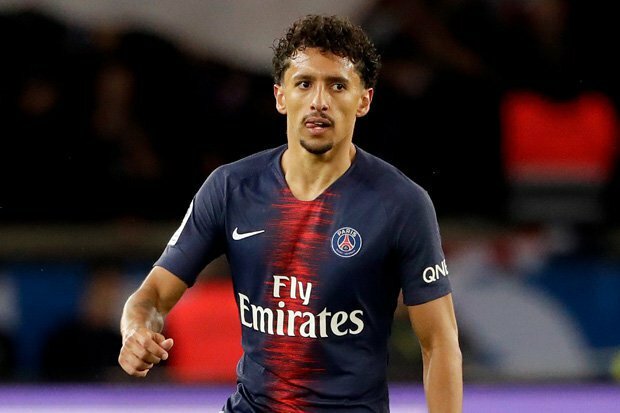 However, it appears we could have a breakthrough elsewhere as the Express are reporting that the agent of Paris Saint-Germain centre-back Marquinhos jetted in to discuss a possible transfer to Manchester United last week. According to the report, the 24-year-old’s agent, Giuliano Bertolucci, met with United officials last week to discuss whether we were interested in doing business for the Brazilian international. The Express claim that new PSG manager Thomas Tuchel is looking to change things in their defence, also looking at Leonardo Bonucci, which would make Marquinhos surplus to requirements at the Parc des Princes. Marquinhos has largely been a regular in the French champions’ defence since joining from AS Roma in 2013, though has often been played out at right-back. Should the Express be accurate in their reports and that the Brazilian international is indeed available for transfer this would be a massive opportunity for Jose Mourinho and co to wrap up a deal before the new Premier League season kicks off on Friday 10 August. Age is most certainly on the defender’s side and no one has ever questioned his ability. We shall have to wait and see if anything comes of this news. No transfer fee has been mentioned so far.